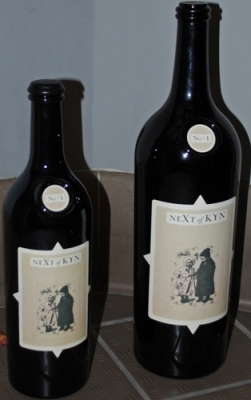 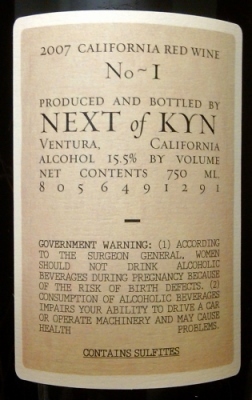 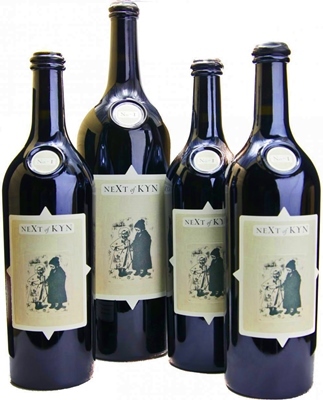 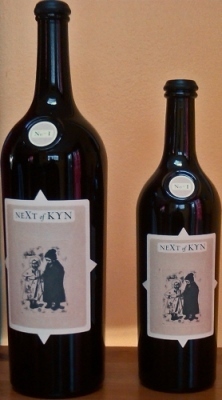 This first Next of Kyn bottling, from the 2007 vintage, is a cuvée of 92% Syrah, 6% Grenache and 2% Roussanne. 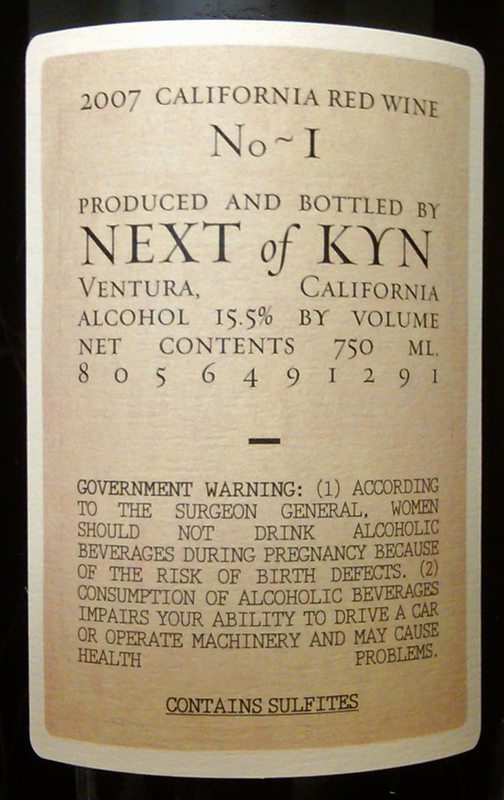 It spent some 31.5 months in barrels, of which only 18% were new (1 out of 5.5 in total). This tiny bit of wine obviously allowed us to only fill a very limited amount of specially designed wooden boxes, each one containing 3 bottles and 1 magnum. 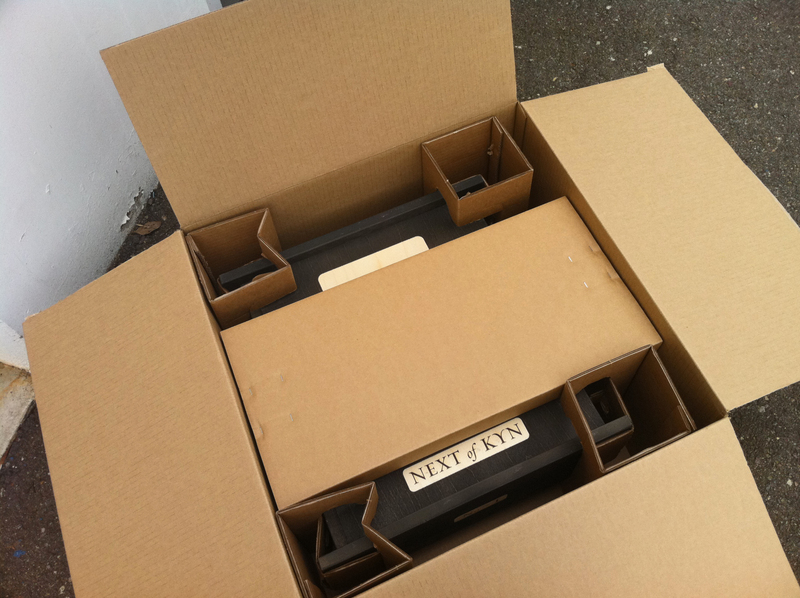 324 such boxes were created. 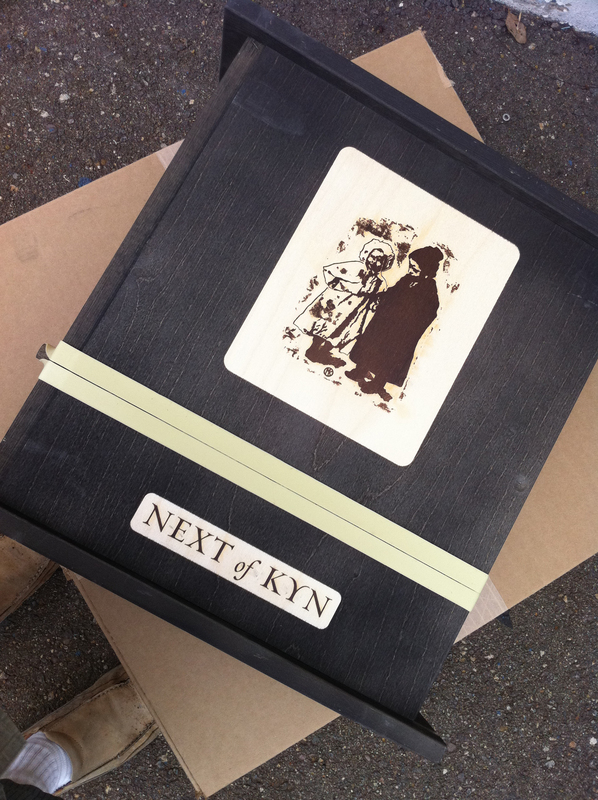 Of course we have to keep a few for ourselves, for our library, and the rest ... somewhere around 300 of them will hereby be offered for sale. They will only be sold via a next of kyn mailing list that we will now establish through this inaugural offering. 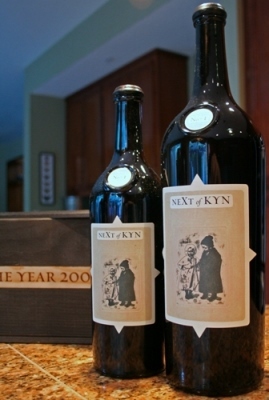 So Next of Kyn is being treated as a separate winery with a separate mailing list and logo. Here is a lovely short video made by David Scales on opening his first bottle of 2007 Next of Kyn No ~ 1. 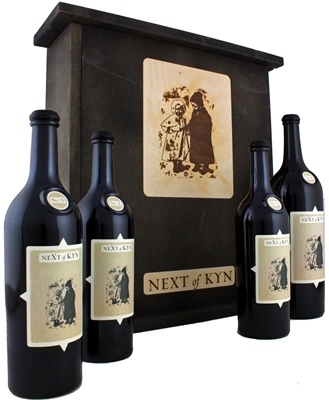 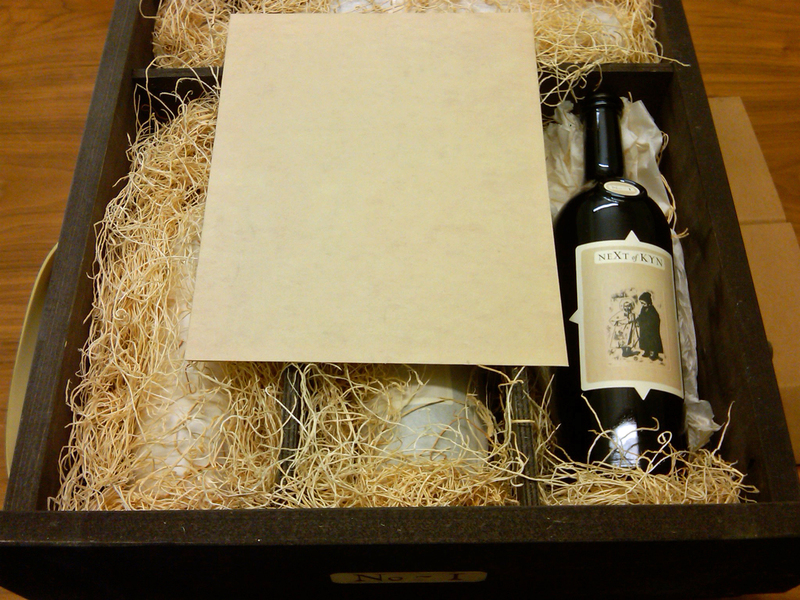 Like all the Next of Kyn bottles this wine will be sold to the Next of Kyn mailing list in specially designed wooden boxes, each one containing 3 bottles and 1 magnum. 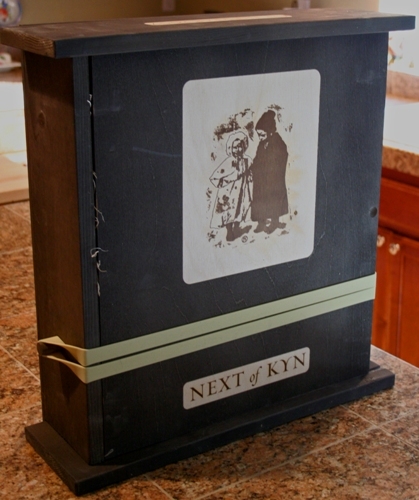 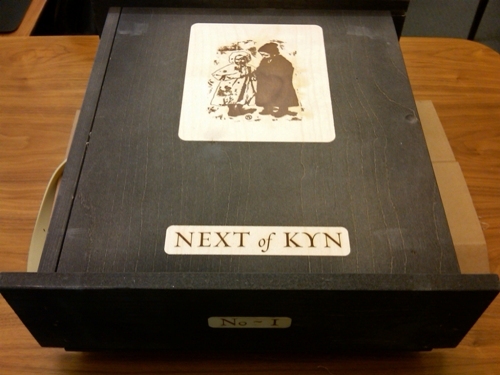 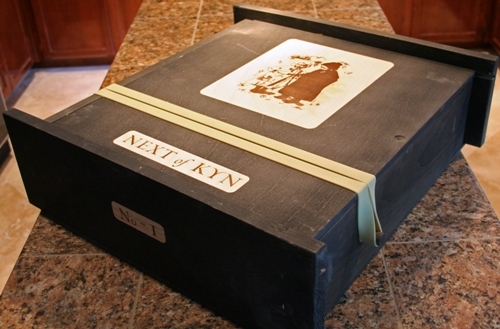 Next of Kyn No ~ 1 came in a special wood box. 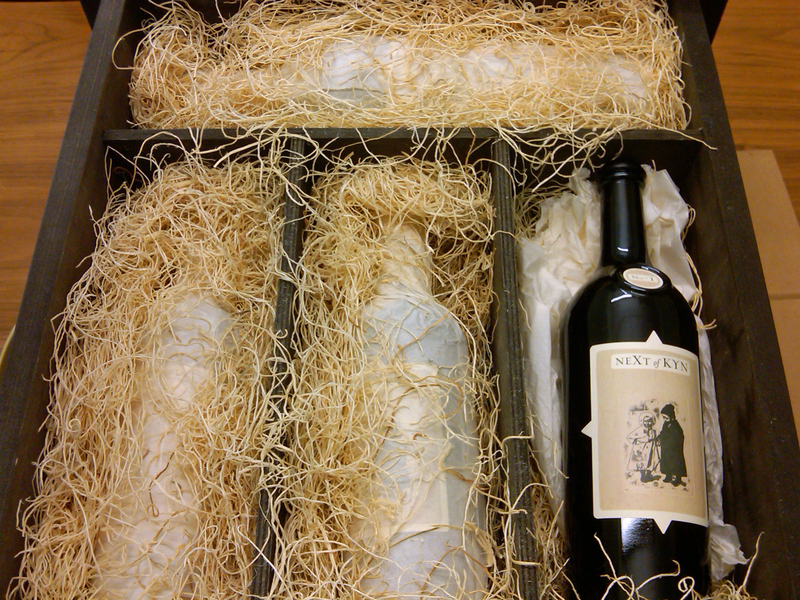 In each box were three 750ml bottles and one magnum. 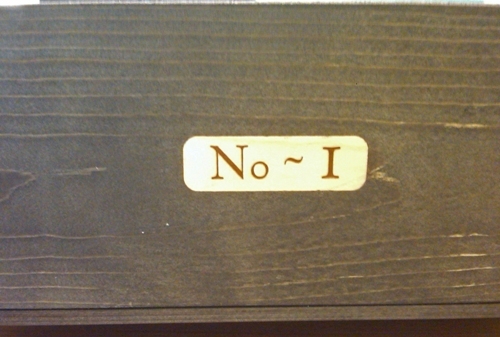 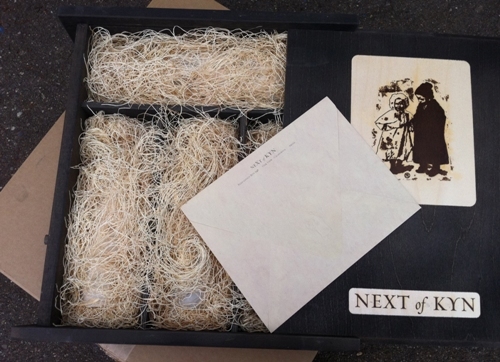 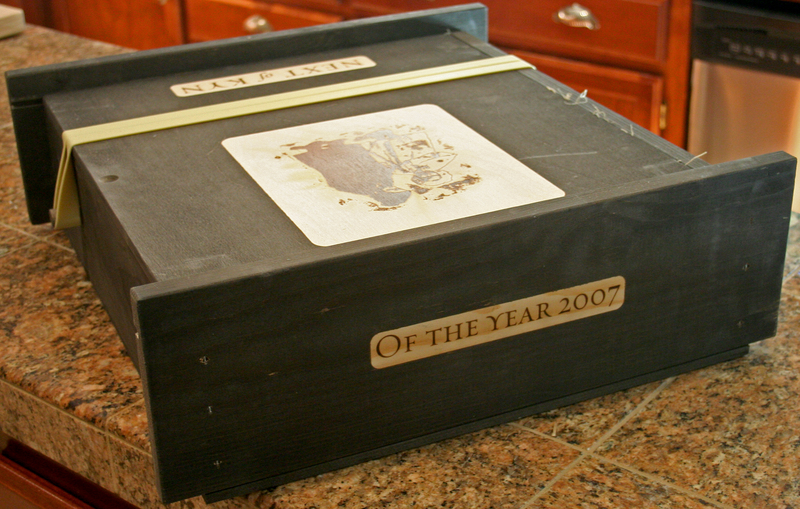 Next of Kyn No ~ 1 came in a special wood box held closed by a large rubber band. In the box were three 750ml bottles and one magnum (perpendicular to the other bottles).